This steering nut fits the pre-war Flying 8 and Post War 8 only up to 1948. 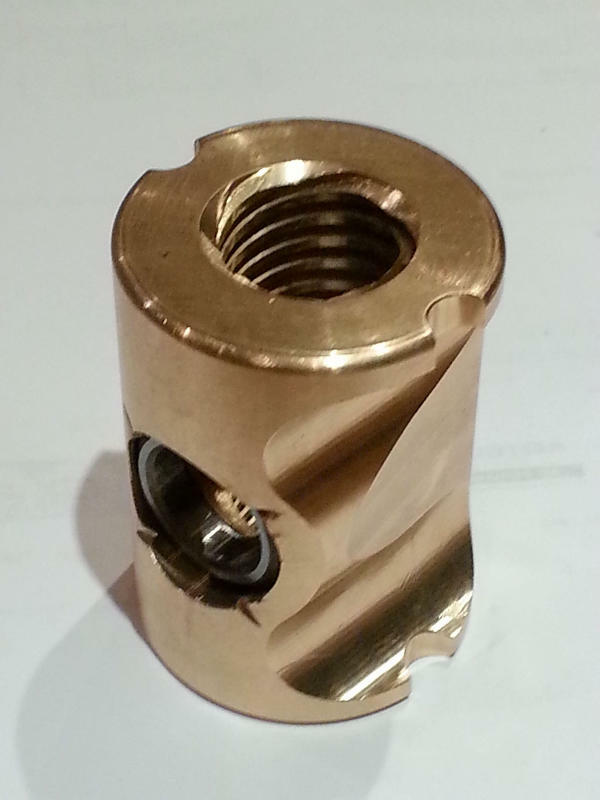 They are newly manufactured in phospher bronze to OEM quality. Right hand steering only. Click on photo for enlargement.